When Shavkat Mirziyoyev succeeded Islam Karimov as President of Uzbekistan, many observers expected his tenure to represent continuity rather than change. And while continuity is present in terms of the focus on independence and sovereignty of Uzbekistan, Mirziyoyev also showed a pro-active desire to improve foreign relations and initiate major economic reforms, designed to strengthen the strategic position of Uzbekistan. Mirziyoyev inherited an economic structure left behind by his predecessor, who consistently emphasized that his approach to economic change had been based on gradualism. The Uzbek government was cautious; but it was not opposed to change. Small-scale privatization was quickly implemented after independence, based on an appeal to a tradition of family homes and small businesses. In the 1990s, the Uzbek economy benefitted from an abundance of cotton, which was relatively easy to bring to world markets at prices that were buoyant at the time. The state’s marketing monopoly ensured that a substantial share of the higher cotton revenues went to the government, which, as a result, was able to maintain social services better than other Central Asian countries. By some measures, Uzbekistan was the best-performing of all Soviet successor states in the 1990s, despite its rejection of the rapid reforms recommended by International Financial Institutions: by the end of the decade it was the first Soviet successor state to regain its pre-1991 real GDP level. However, falling cotton prices in 1996 led the government to abandon its commitment to make the currency convertible and instead introduce strict exchange controls. When global demand dipped a decade later, the government again tightened forex controls, leading to the emergence of a substantial black market. Very much as a result of this multiple exchange rate economy, Uzbekistan also failed to further diversify its economy. Also, Uzbekistan’s borders remained tightly controlled, both for reasons of security and to protect import-competing industries. Governance inefficiency became one of the major societal challenges for growth and development in Uzbekistan, contributing to many illnesses of the Uzbek economy, including unemployment. As a result, several million migrants were forced to move abroad, primarily to Russia, in search of work. By the 2010s, Uzbekistan’s social policies – once a source of pride – were perceived to be deteriorating. Despite many shortfalls, that included lack of transparency of statistical data allowing objective assessment of economic development, Uzbekistan by the end of 2016 remained a stable country, but with the need to transform in order to meet the challenges it was facing. It was from this position of stability, but also a sense of urgency, that the newly elected president Mirziyoyev started implementing reforms. President Mirziyoyev had a very good idea where to start, since some of these reforms were designed during his tenure as Prime Minister, and they only required political will to be implemented. On October 5, 2016, Mirziyoyev signed the decree “On Additional Measures to Ensure the Accelerated Development of Entrepreneurship, the Full Protection of Private Property, and the Qualitative Improvement of the Business Environment.” This initiative sent a clear signal as to his priorities: an understanding that the private sector will be the key driver for economic growth and job creation in Uzbekistan going forward. 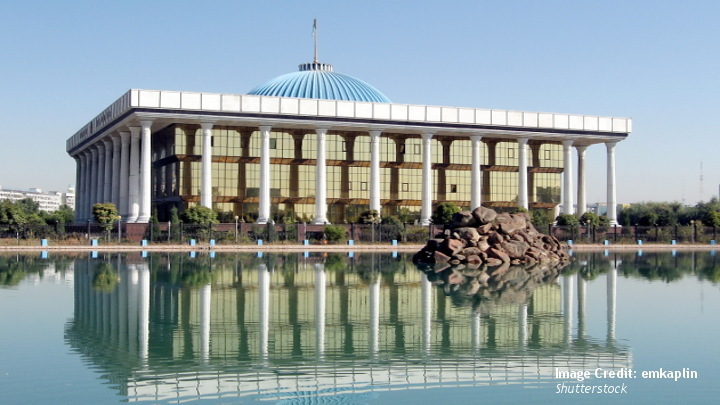 In February 2017, Uzbekistan adopted a 2017-2021 National Development Strategy, which identified five priority areas: 1) Reform of public administration; 2) Reform of the judiciary, strengthening the rule of law and parliamentary reform; 3) Reforms in economic development and liberalization, focusing on modernization of Uzbek agriculture and industry and oriented towards greater competitiveness of the products and services; 4) Social reforms, based on higher incomes and better jobs, oriented on higher quality health care, education, housing etc. 5) Reforms in the security area, focusing on improvements to ensure domestic stability and balanced and constructive foreign policy with the ultimate goal of strengthening the independence and sovereignty of state. Following this strategy, President Mirziyoyev signaled new directions in both foreign economic relations and domestic economic policy. The areas were well-chosen: the adoption of foreign exchange controls and the high costs of conducting international trade were the two outstanding flaws in the economy. 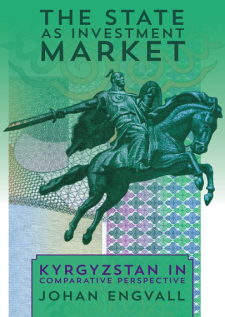 A most significant reform came in September 2017, when the Central Bank of Uzbekistan reunified Uzbekistan’s exchange rates, and President Mirziyoyev promised freely floating market-determined rates for the future. Simultaneously, restrictions were lifted for legal entities and individuals to convert currency. The currency reform was followed by increased activity in foreign financial markets. This included substantial deals totaling over $1 billion with, among other, Deutsche Bank, Commerzbank, and the EBRD. Mirziyoyev’s first year in power saw a flurry of reciprocal foreign visits that enabled the new President to establish relations with leaders of neighboring states and great economic powers. Mirziyoyev’s outreach to Uzbekistan’s neighbors signaled a shift in policies and priorities, and the meetings with Turkmen, Kazakh and Tajik leaders in particular highlighted connectivity, and hence Uzbekistan’s reintegration into a regional economic circle. This has begun to deliver results, including new direct air connections linking Tashkent to Dushanbe and Kabul, greatly facilitating travel, as well as growing trade figures. Uzbekistan is making progress in reforming governance and public services, taking steps that are having an impact on the lives of ordinary citizens and makes it easier for businesses to operate. As a result of those reforms, the country has moved up to 74th place in the World Bank’s “Doing Business” ranking, from 87th in 2015 and from 146th in 2013. Reform has also reached the cotton sector. The ban on child labor in cotton picking was broadened to include education and health workers, and in September 2017, the government ordered all forced labor to be sent home. Henceforth, wage increases may make cotton-picking more attractive to voluntary labor, while mechanization is also being considered. These reform policies were positively assessed by many international institutions, including the IMF and other International Financial Institutions. Looking forward, Uzbekistan will need to work to reverse the bias against exports left over from the previous years. South Korea accomplished this in 1964 after a decade of mild import substitution, suggesting it can be done successfully. There are already positive signs: exports increased by more than 15 percent and the country signed export deals worth $11 billion dollars in 2017. The experience of 2017 is encouraging, but Uzbekistan’s reforms are at an initial stage, and the key issue is how successful the Mirziyoyev administration will be in implementing these systemic reforms. The initial steps have yet to create free pricing and competition in fuel, because the centralized management and pricing system remains in place. This example highlights the multifaceted needs (e.g. enterprise reform and institutional change as well as price liberalization) if market mechanisms are to function well. In general, economic reform rarely yields immediate benefits, and requires some degree of patience. The timing of Tashkent’s reforms is also auspicious because of the revival of continental trade linking Europe and Asia through Central Asia. Centrally located in the heart of Asia, Uzbekistan could serve as a transit hub for cargos coming from China, India, Pakistan, Afghanistan, and even Southeast Asian countries. China’s Belt and Road Initiative is providing a major impetus to develop infrastructure in the region. Other regional initiatives also work in Uzbekistan’s favor, including the launching of the Baku-Tbilisi-Kars railway, Turkmenistan’s interest in this project, and the Lapis Lazuli corridor linking Central Asia with Afghanistan. With Uzbekistan an engaged participant in these processes, the prospects for the development of continental trade are greatly improved. In sum, in about 18 months, President Mirziyoyev outlined a very ambitious reform agenda and started to implement it. He undertook a full travel and meeting schedule to restore the country’s international links and, in particular, to repair Uzbekistan’s fractured relations with its Central Asian neighbors. He removed a millstone around Uzbekistan’s economy by unifying the exchange rate and liberalizing access to foreign exchange. Even though it is too early to draw definitive conclusions, these steps appear to have been harbingers of a shift from economic control to greater confidence in market mechanisms. An important signal that Uzbekistan is more open for business would be to complete negotiations for accession to the World Trade Organization (WTO). On March 13, 2018, the Government of Uzbekistan hosted representatives of the World Bank, Asian Development Bank, USAID and other donor organizations and discussed a detailed 34-point accession plan “Road Map” for Uzbekistan’s entry into WTO, thus demonstrating a clear determination to join the rules-based international trade system. With ongoing reforms, and undervalued economic assets, Uzbekistan presents an attractive opportunity for foreign direct investments. The government is creating a set of incentives in agribusiness, energy and tourism sectors, and with a continued course of liberalization, Uzbekistan may become a magnet for the investments from different parts of the world, bringing much needed jobs, management and technological now-how, and ultimately prosperity for the citizens of Uzbekistan.